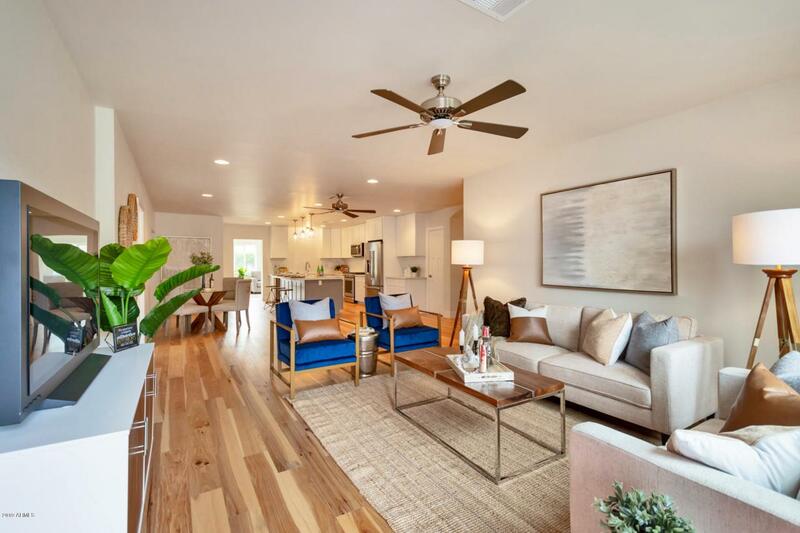 Super charming Lower Arcadia remodel/new construction on hot Devonshire Ave, where prices approach $1.2MM. Light, bright & open floorplan features split master & ensuite/2nd master setup. Wide-plank oak floors stretch throughout the house. Two-tone shaker kitchen cabinetry finished off with quartz counters, full KitchenAid appliance package, wine fridge, pendent lighting & bar seating. Large entertaining space, private bedrooms. New master suite is spacious with large shower, soaking tub, huge WIC. 2nd master/ensuite is oversized with great closet space. Large laundry area with storage, counter space, decorative tile. Game/flex room in the back of the home has two Arcadia doors to the south-facing yard & paver patio. A+ location with beautiful homes in a walkable foodie neighborhood.